Nippon Instruments Corporation (NIC) has published a new application report describing the measurement of mercury (Hg) in cork stoppers by thermal decomposition using atomic absorption spectroscopy. The method described in the report complies with US EPA Method 7473, Mercury in Solids and Solutions by Thermal Decomposition, Amalgamation, and Atomic Absorption Spectrophotometry. 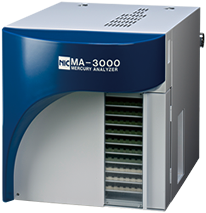 NIC Application Note MA-3A-CA-101, Total Mercury in Cork Stoppers Using Direct Mercury Analysis, includes information about calibration and measurement, and highlights the performance of the NIC MA-3000 direct thermal decomposition mercury analyzer. In a 2014 study (Lopes, C.B., et al. Environ Sci Pollut Res (2014) 21: 2108), it was shown that cork used in wine stoppers is an effective biosorbent towards bivalent mercury at environmentally relevant concentrations and conditions. When cork is used to impede the passage of mercury, it is important to quantify the absorbed amount. Wine corks are also recycled into other consumer products, where the mercury uptake from the wine may need to be quantified. Mercury is dangerous to both natural ecosystems and humans because it is highly toxic, and poses a particular threat to human development in utero and in early childhood. To prevent mercury poisoning, it is often necessary to quantify total mercury in recycled cork and cork used intentionally for mercury remediation. For the analysis described in the report, calibration was done using certified aqueous ionic-mercury standard solution diluted to the required concentration. Measurement was performed by the MA-3000 analyzer, a dedicated direct mercury analyzer that selectively measures total mercury by thermal decomposition, gold amalgamation and cold vapor atomic absorption spectroscopy on virtually any sample matrix. Rice flour was measured after all cork samples for reliability assurance. 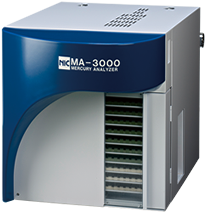 The MA-3000 analyzer is designed to provide quick results without an elaborate, time-consuming sample preparation process. The results show that the instrument is able to analyze new cork samples with accuracy and precision.